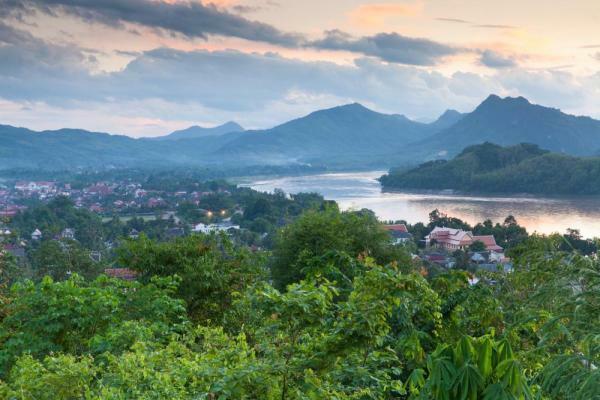 Enjoy four days exploring Luang Prabang on your Laos tour with the addition of this four-day extension. 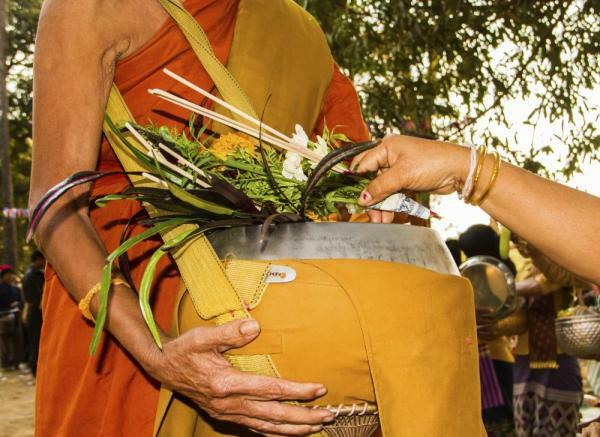 Witness the giving of alms to monks first hand in the early morning and observe as they walk the streets to collect their daily food. Visit the lively marketplace and wander to the main sites in Luang Prabang, including the Wat Xieng Thong Temple. 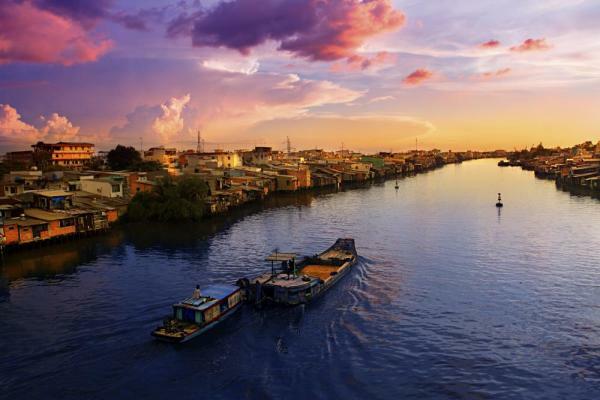 Cruise the Mekong River and visit the hidden Pak Our Caves, once a spiritual haven. Spend time visiting weavers and other textile makers in riverside villages and hike to the Kuang Si Waterfall. 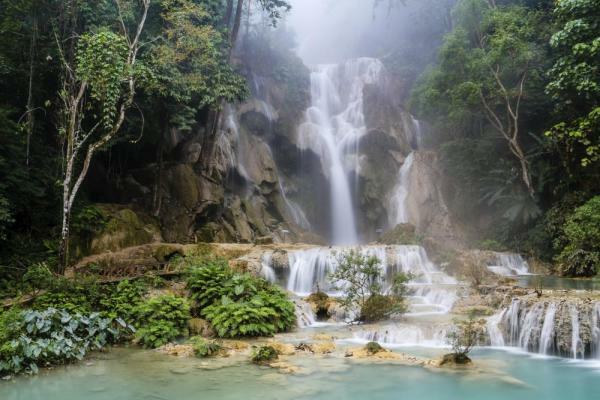 Enjoy four days exploring northern Laos on this guided Luang Prabang tour. Arrive to Luang Prabang where you meet your guide and transfer to your hotel to settle in for the evening. Rise early this morning to the sound of the monastery bells at dawn. If you are up early enough you can witness the lines of monks emerging to receive their morning rice from the townspeople. Respectfully wander the streets to witness this sacred ritual as long lines of barefoot monks weave through the streets on their alms rounds. We request that you observe this from a respectful distance and discourage photographs that interfere with the ritual. Afterwards, visit the Morning Market to see an array of meats, vegetables, and spices for sale by local vendors before returning to your hotel for breakfast. Next set out to explore this historic World Heritage city. 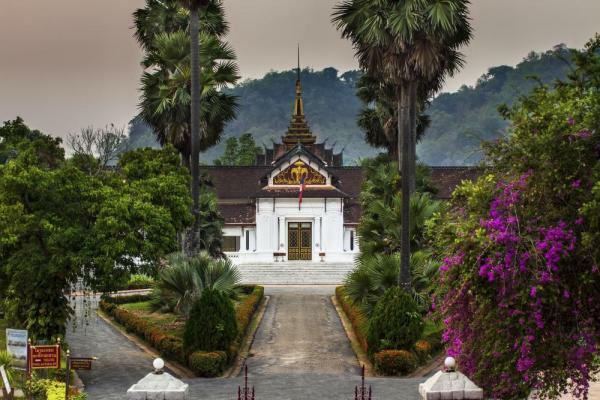 Start with the most popular and classic Luang Prabang temple, the 500-year-old Wat Xieng Thong. Explore small side streets along alleys and through temples as you get a feel for a city that seems to have been designed with slow travel in mind. Wander up the peninsula further and visit the National Museum (or former Royal Palace). 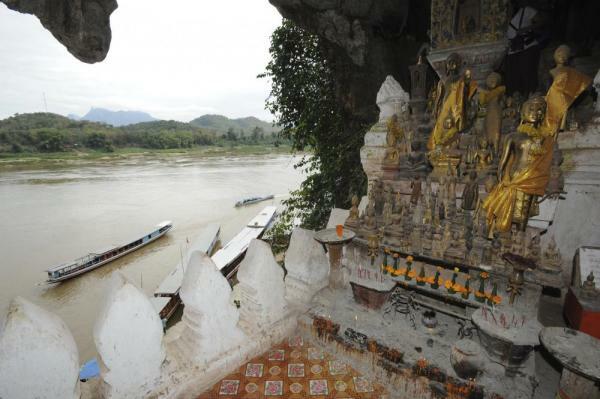 Here see relics from Laos' royalist past and the overlooking Phousi Mountain. Climb the 328 steps to get the best view of the city and breathtaking views of the entire landscape. Depart this morning through Laos's scenic countryside to the Pak Ou Caves, a mystical pilgrimage site high above the Mekong River. Stop in at two riverside villages along the way. 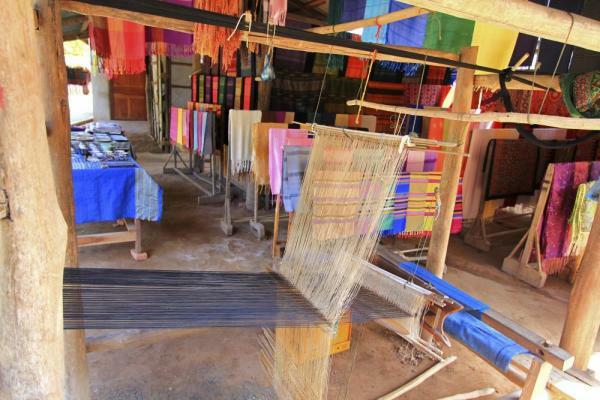 Visit Ban Xang Khong to see the weaving of prized Lao textiles still created on ancient wooden looms. Some villagers here also engage in mulberry paper production. The villagers of the next stop in Ban Xang Hai produce a well-known rice whiskey called Lao Lao. Try a swig of this potent drink before continuing on to the ferry boat that takes you to the Pak Ou Caves. Peer into the dark corners to see the more than 3,000 Buddha figurines and faces. Cruise along the Mekong River on your way back to Luang Prabang, enjoying snacks along the way. 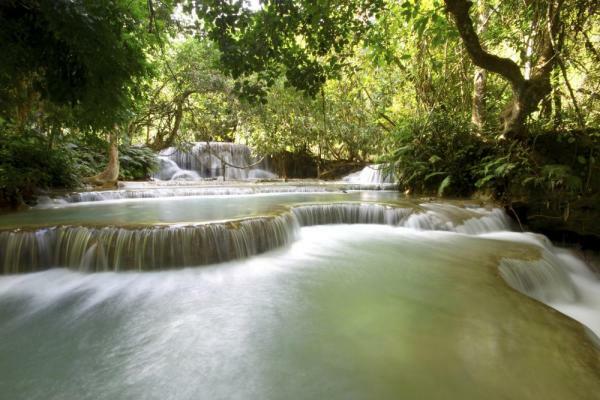 This afternoon you set out to visit the nearby Kuang Si Waterfalls, starting with a stop en route to the Living Crafts Centre. Here you learn about textiles and the weavers who strive to keep these cultural techniques and traditions. Continue on to the falls where you can hop into the idyllic turquoise pools at the base of the cascading water. Also take time to visit the nearby Sun Bear Refuge to learn more about the poaching of these endangered creatures. Return to Luang Prabang for the evening. Return to the airport for your flight home or on to your next destination. Rates based on group of 2 people in double occupancy. Peak surcharge may apply Jan 1- 5 and April 12 -16. Final payment is due 70 days prior to departure by bank transfer, check or credit card. Final payments by credit card may be subject to surcharge and a maximum $20,000 charge. 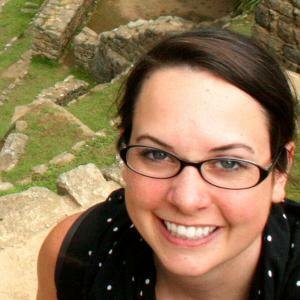 Kate was great to work with in the planning stage. She was prompt, helpful, and efficient. Our tour guide, Edwin, was knowledgeable and passionate. We were very happy to have traveled with Adventure Life, it made the trip easy and a true pleasure. We could concentrate on enjoying the experience rather than the details of travel.